"So initially we're turn by turn-based," the rep said, referring to the phone-to-phone multiplayer capabilities on day one. "We are working on real-time phone-to-console, likely initially through Wi-Fi -- again, operator networks are sensitive to that. That's not on day one; day one will be turn-by-turn as well as companion-type gaming where you play a level on the phone and it may unlock a level or a weapon or some special achievement on the console game. But, uh yeah -- absolutely working on phone-to-console real-time. That is something we're working on and expect to have in the near future." The potential of Microsoft's Windows Phone 7 gaming hub has had a lot of people intrigued. Its linkage to the Xbox world has already been demonstrated, but until recently we have not had a clear understanding of just how far the integration will go, nor exactly what capabilities will be provided. Some questions are starting to be answered, and new ones stimulated. From the quote above we learn that turn by turn-based game play will be supported initially, but sometime in the not too distant future phone-to-console game play should appear (initially through Wi-Fi). If this is true, then we have some mighty interesting scenarios that could play out, and we could lose a lot of time testing them (well, someone's going to have to do it, and it might as well be you!). Game players out there: is phone-to-console game play a big deal, or is this over-hyped? 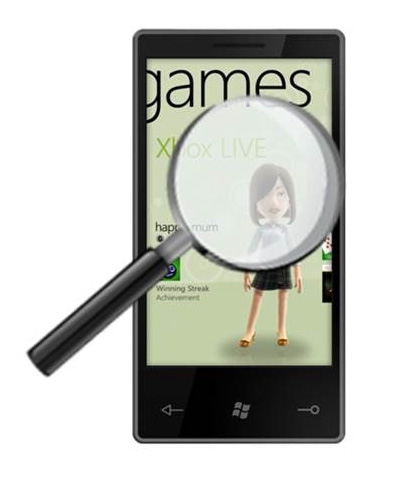 As an avid gamer, who has rarely found a decent game on the PPC platform, I'm very excited about all the gaming news on the WP7 line. Somewhere I could see the online turn based gameplay being integrated would be Civilization V. It's just about to come out, the graphics aren't insane, and turn based multiplayer would be perfect! I can't think of any high quality turn based games that would even be playable on a touch screen, but I'm sure MS will come up with something. I'm excited to see what they come up with and the quality of games I've seen so far exceeds my expectations.